The Match Race Championship of the Second Division in the early fifties was the Silver Helmet, in which the holder faced a challenge from a nominated opponent on a monthly basis. It took the great Jack Young until 1951 to win the competition - he defeated Arthur Forrest, Derek Close and Bob Leverenz in successive challenges before losing the title to Tommy Miller in August. 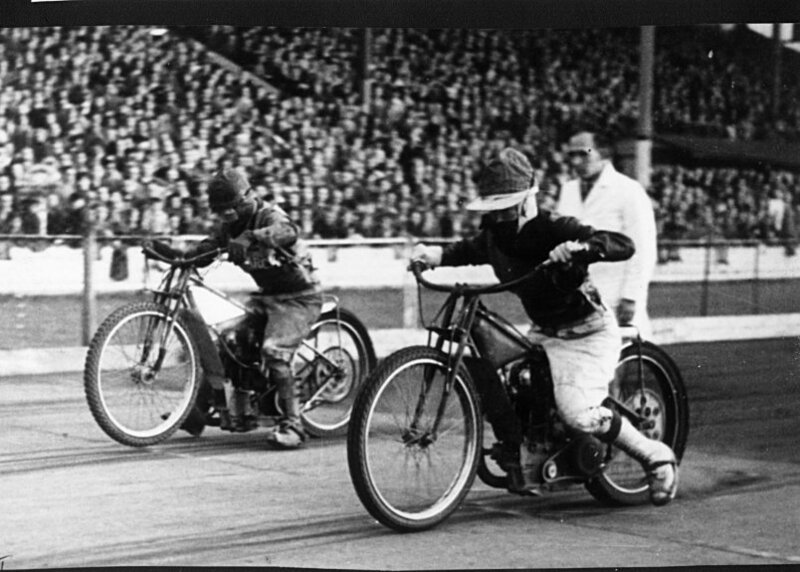 The photo is from 1950 and shows the northern section eliminator in which Youngie raced Ken Le Breton. For once he was unsuccessful - the two men won their home legs 2-0 but Le Breton took the decider at White City by 2-1. That's where this photo comes from.